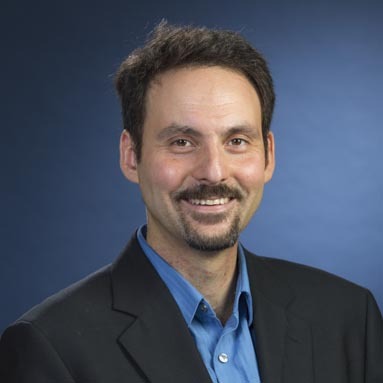 Dr. Alexander M. Wyglinski is internationally recognized as an expert in the field of wireless communications, cognitive radio, connected vehicles, software-defined radio, dynamic spectrum access, electromagnetic security, vehicular technology, wireless system optimization and adaptation, autonomous vehicles, and cyber-physical systems. Dr. Wyglinski is a Professor of Electrical and Computer Engineering and a Professor of Robotics Engineering (courtesy appointment) at Worcester Polytechnic Institute, Worcester, MA, USA, as well as the Director of the Wireless Innovation Laboratory (WI Lab). Dr. Wyglinski is very active in the technical community, serving on the organizing committees of numerous technical conferences and several journal editorial boards. These activities include serving as the General Co-Chair for both the 2013 IEEE Vehicular Networking Conference and the 82nd IEEE Vehicular Technology Conference in Fall 2015. Dr. Wyglinski's previous and current editorial board commitments include the IEEE Communications Magazine, IEEE Transactions on Wireless Communications, and IEEE Transactions on Communications. In January 2018, Dr. Wyglinski became President of the IEEE Vehicular Technology Society, an applications-oriented society of approximately 4600 members that focuses on the theoretical, experimental and operational aspects of electrical and electronics engineering in mobile radio, motor vehicles and land transportation. Throughout his academic career, Dr. Wyglinski has published approximately 40 journal papers, over 80 conference papers, nine book chapters, and three textbooks. He is currently being or has been sponsored by organizations such as the Defense Advanced Research Projects Agency, the Naval Research Laboratory, the MITRE Corporation, the Office of Naval Research, the Air Force Research Laboratory Space Vehicles Directorate, The MathWorks, Toyota InfoTechnology Center U.S.A., and the National Science Foundation. Dr. Wyglinski is a Senior Member of the IEEE, as well as a member of Sigma Xi, Eta Kappa Nu, and the ASEE. WPI professor Alexander Wyglinski discusses a variety of academic and practical strategies for students exploring careers in the self-driving car industry.